Call Senator Gardner and tell him you want him to put his constituents above special interests. Senator Cory Gardner’s vote this morning to roll back the BLM Methane Rule tells us a lot about his alliances. Unfortunately, Coloradans seem to rank somewhere below the oil and gas industry, which happens to be among his major campaign contributors. 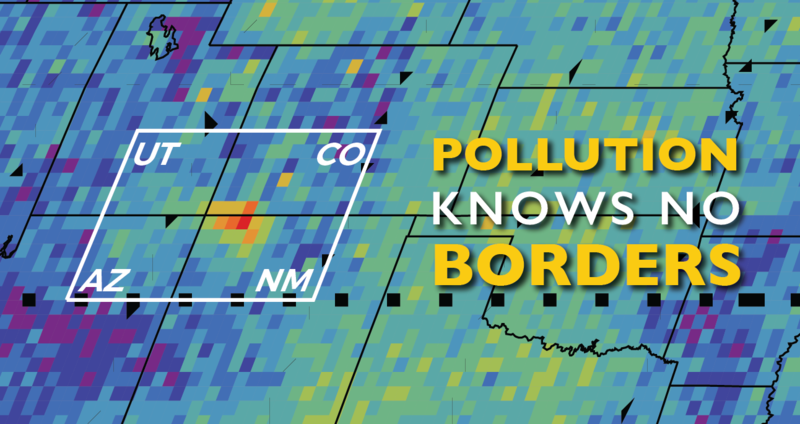 Colorado does have a similar methane rule in place statewide, but we needed our Senators to step up and protect us from pollution pouring into southwestern Colorado from adjacent New Mexico. Over 60 businesses from all over the Western Slope sent a letter to both Colorado Senators urging them to support the rule and La Plata County Commissioners voted unanimously to urge the Senators to support the rule as well. While Senator Bennet proved to be a strong defender of the rule, Senator Gardner significantly disappointed us with his lack of concern. The tool being used to gut this rule was extreme by any measure. The Congressional Review Act (CRA) allows the Senate to rollback such rules within 60 days by a simple majority vote, but egregiously forbids any similar rule to be created in the future. The consequence is significant, which is why we’ve been fighting so hard to preserve this hard-won protection and were hoping that Senator Gardner, whose constituents live under the methane hotspot, would vote to prevent unnecessary pollution wafting into our communities. As a refresher, methane is the main component of natural gas. In addition to being a powerful greenhouse gas, many times more potent than carbon dioxide, other pollutants dangerous to human health are released along with it. Natural gas, and therefore methane, is also a very valuable product used for energy production. Revenues from its extraction are paid to the public when it is extracted on pubic or tribal lands. It is estimated that taxpayers lost out on $330 million in 2013 alone due to outdated technology and poor industry practices. The BLM Methane Rule, by updating decades-old regulations regarding leaks, venting and flaring, is therefore poised to not only drastically reduce greenhouse gases, and toxic air pollution, but also save taxpayers hundred of millions of dollars in the coming years alone. So, what’s not to like Senator Gardner? Luckily, Arizona Senator John McCain’s surprise vote to defend the rule saved the day. It’s a good reminder that public pressure can and does pay off. We know many of you reached out to Senator Gardner on this issue. And, despite his shameful vote, we think those calls sent an important message. Let’s send him one more reminding him that we expect better.